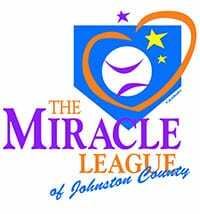 The Miracle League of Johnston County is a baseball league for children with physical, cognitive and/or emotional disabilities. Our field is located at The Community Park in Smithfield, NC. Our facility has a t-ball sized baseball field with a rubberized turf surface to accommodate children with special needs. The Miracle League also worked with the Partnership for Children of Johnston County to build an inclusion playground at The Community Park. In 1997, just outside of Atlanta, Rockdale Youth Baseball Association’s coach Eddie Bagwell invited the first child with a disability to play baseball on his team. In 1998, other children with disabilities were invited to play baseball on a typical baseball field within the same baseball complex. These players and their families expressed a desire to wear uniforms, hit and round the bases just like other team members. And so the Miracle League was born. Since then the Miracle League has received local and national media attention. The league has been chronicled in the local newspaper, televised locally on NBC, ABC, Connecting With Kids and FOX, Atlanta affiliates and nationally on CNN, MSNBC and Fox Sports. In July 2001, the league was profiled on a segment of HBO’s Real Sports. Presently there are almost 300 Miracle League Organizations across the country including Puerto Rico, Canada and our newest member in Australia. 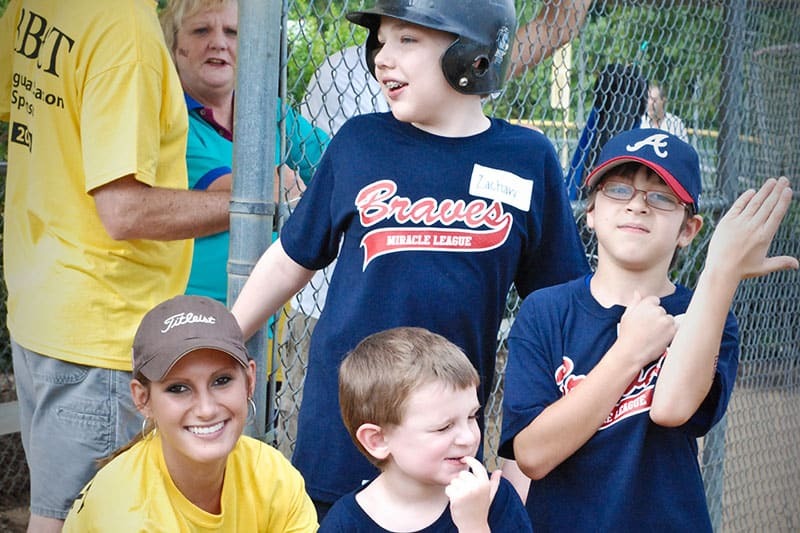 The Miracle League is proud to serve over 200,000 children and young adults with disabilities. 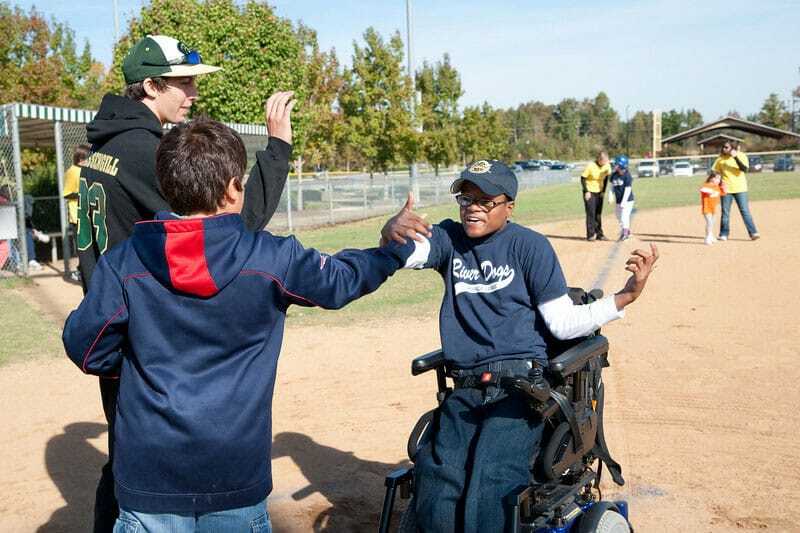 We are all grateful for Monty McLamb and all he does for The Miracle League of Johnston County community. Monty McLamb is the Operations Manager at Building Material Distributors, Inc. (BMD,) a wholesale building supply distributor serving retail lumber yards and hardware stores across North Carolina, South Carolina, and Virginia. The company also has locations in California, Washington, Colorado, Texas, and Tennessee. He manages a team of 12 employees that are responsible for inventory control, customer service, and delivery of building materials to customers throughout the mid-Atlantic states. He has been with BMD for 26 years, serving as Sales Representative for eight years before taking on the job as Operations Manager. Monty is a 1992 graduate of Campbell University where he earned his BA degree in Business Management. He will complete his MBA degree from East Carolina University in December of 2019. He married his High School sweetheart, Kim McLamb, in 1992. Kim is a special education teacher at Four Oaks Elementary. They have two sons, Mitch and Cliff. The McLambs live in Benson, NC. Outside of BMD, Monty’s service to the community is evident in his involvement with various community organizations. He coached Civitan Youth Sports in Four Oaks for 13 years. He served 18 years as an adult Sunday school teacher at First Baptist Church in Smithfield and currently attends Stewart’s Chapel Church in Four Oaks. Monty also served on the Parent Advisory Board of South Johnston High School for six years. Nowhere has his involvement in the lives of our community’s youth been more evident than the Miracle League of Johnston County. 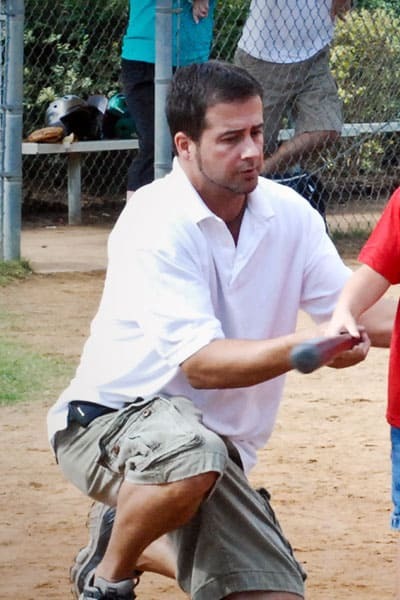 In 2010 Monty believed regular youth baseball was leaving out a group of kids that wanted nothing more than to play on a team and compete against their friends. Monty started the Miracle League with 12 special needs players and several volunteers on a field at the Community Park in Smithfield. News quickly spread to parents of special needs children about a baseball league that allows every player a chance to hit, a chance to score, and a chance to belong. 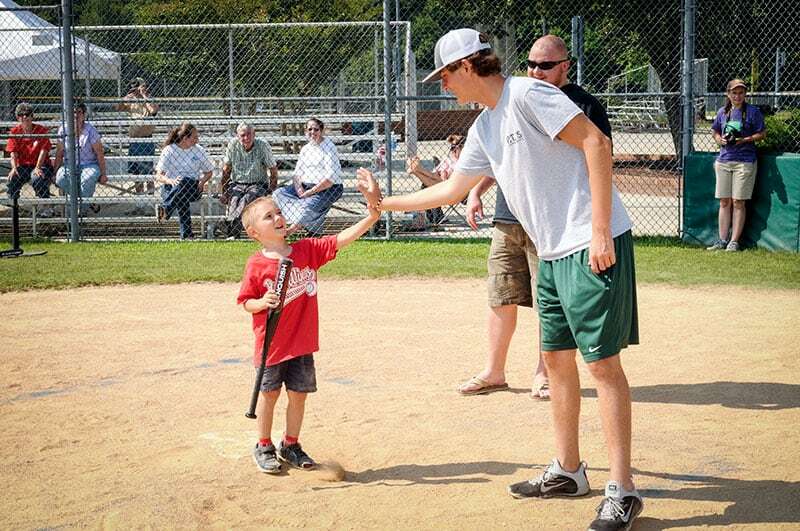 With the help of volunteers, the disabilities took a back seat, and the kids enjoyed their new league. In the Spring of 2018, the Miracle League registered over 60 players and is continuing to grow. Construction was completed on the Miracle League’s custom baseball field and park in March of 2018. This special field was just the first on many goals Monty has in mind for the league and the special needs community in Johnston County. Monty recently announced the formation of the Hogan Teem Memorial Scholarship, an award to a Miracle League volunteer and high school senior interested in pursuing a career in special needs education, healthcare, or service. He also wants to add other sports to the league such as basketball and soccer. Planning is in the works for what he wants to become an annual event. 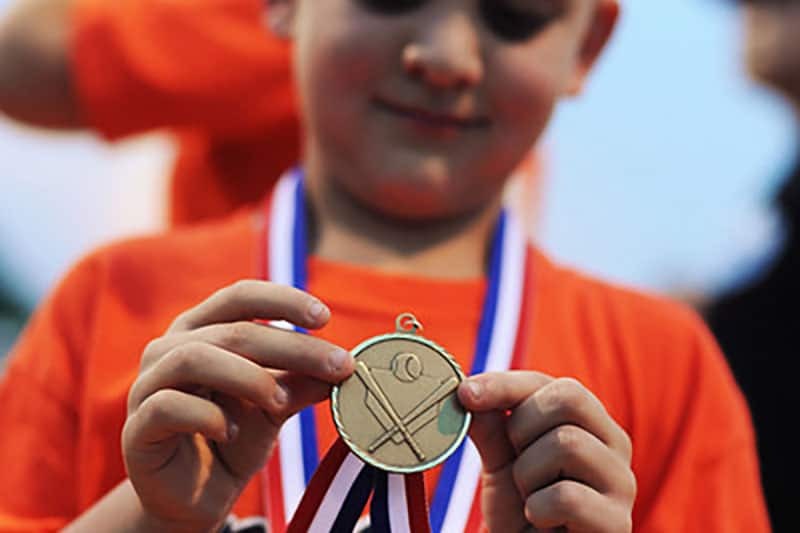 Monty envisions a Fall fundraising event that also recognizes volunteers and community citizens that give back to their community and hopes it will become the focal point of Miracle League funding efforts and help give back to a community that has provided so much to the league. 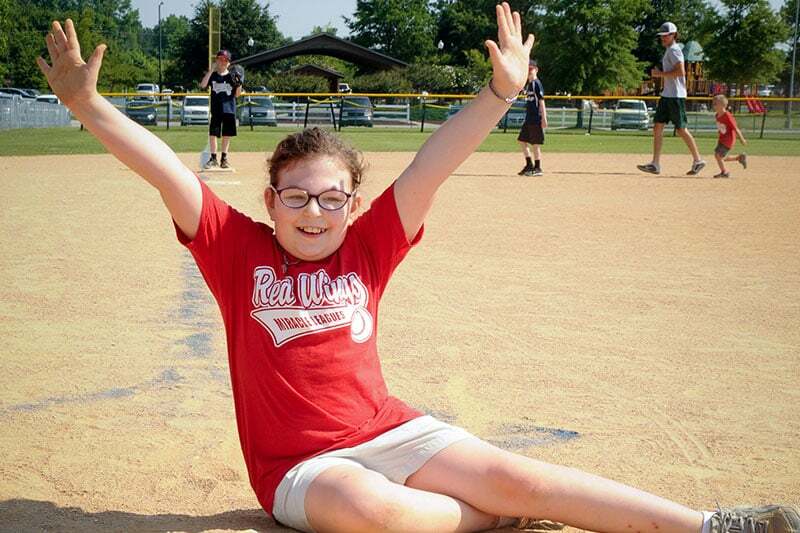 The future is bright for the Miracle League, and there is so much more to come.